University of Washington Press, 9780295990484, 441pp. Broken Ground employs a construction project in the Oregon desert as the basis for a story with far-reaching political and moral implications. Hank Lafleur has been sent to supervise the project, which is a prison-for-profit financed by a multinational corporation under government contract, and meant to house felons, illegal immigrants, and, as Lafleur comes to learn, political prisoners from Latin America. Broken Ground is remarkable for its prophetic vision of the hollow securities promised by incarceration and of the effects of "privatization" as an armature of American imperialism - in both the domestic and international realms. 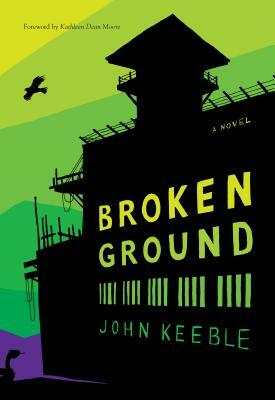 John Keeble is the author of four novels, including Yellowfish and Broken Ground, a collection of short stories, Nocturnal America, and a work of nonfiction, Out of the Channel: The Exxon Valdez Oil Spill in Prince William Sound.